Swapped the Pertronix today and I think the problem is fixed. So 90% was the capacitor and 10% the Pertronix. The reason I said I think it's fixed is on the test drive I filled it up with gas and the tank sprung a massive leak. Gas was leaking out the back side of the tank. No, I don't think I ran any screws through it. Lost half a tank on the 2 miles back home. I managed to drain about 7 gallons out into gas cans. I'll pull the tank tomorrow and see what the deal is. Last night I was about 40 miles from home and it wouldn't start. Rotor grabbed the wires on the Pertronix and tore them out. I put the old one back in and routed the wires away from the plug wires and it works fine. I guess the high voltage wires were causing interference with the trigger to the coil. I've never had a Pertronix eat the wires in the distributor before now but I don't like the way they have to wrap around inside the distributor. Should I drill some holes in the plate and add some zip ties? I've never had an issue with the wires in the distrubtor with a Pertronix. Of course it has been so long since I installed mine, I have gorgotten how the wires are routed. I wonder if the factory plastic dust cover would fit over the pertronix module? That would keep the rotor away from the pertronix wires. I thought about that but I'm not sure how the got caught. They might have been caught up in the cam. I just checked and the Pertronix is too tall. And he isn't selling them to mere mortals like me any longer if I understood his announcement correctly. I haven't heard where he isn't selling them to Vair people. His applications guide still lists them for the Vairs. All you have to do is send him an email and tell him what you think you want and what engine & # carbs you have, and he will help you out. I got one for my 140 from EFI Ted and Seth has made me a special set of wires for it. When it is time to install and set the distributor up, I'll follow instructions. But I bet he will be there to help if I stumble in the installation and first run. He sent out an email not too long ago that said he was only selling custom distributors to racers. No more normal Corvair ones. I have enjoyed spending the last six years developing and supplying the Stinger Ignition Distributor for street Corvairs. 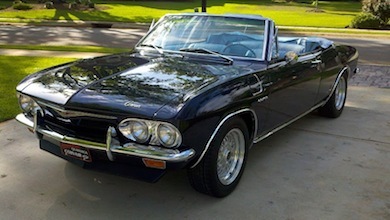 I helped the manufacturer design the unit to meet the unique Corvair requirements. I modified them for specific applications, primarily racing. 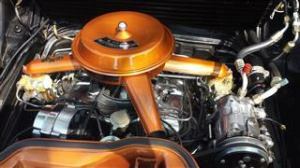 That has now become the focus for Performance Corvairs and the Stinger ignition. 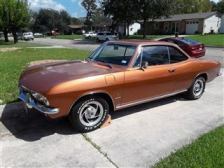 I have decided to take my company out of the street Corvair market for these units and deal only with racing applications." Well, I missed reading that post. But glad there is a source of parts for them. I hope the booklet and user replaceable parts got all defined and released. I probably missed reading more on that also. Unless I forgot where to find it on his website, once he decided to switch over to the performance side, the parts replacement section, known as "The care and feeding of the Stinger Ignition", is now deleted. Does any have a copy of it? I would hate to buy a ne distributor for a bad module. I did a google search and found nothing on the document. Edited 1 time(s). Last edit at 02/15/2019 06:12AM by Lane66m. That would be great information to have. I added a new post to the old stinger manual discussion to have comments there instead of here regarding the stinger manual status. I only ran it briefly today up the highway but I'm pronouncing it fixed. Major problem was the capacitor on the coil but that only made it 90% better. I re-routed the Pertronix wires away from the spark plug wires which also helped some. The Pertronix 1 that I thought was bad was actually just missing the ground strap. It is really old and the "points" plate was worn so I replaced the plate with one from the new Pertronix that ate the wires and added the ground strap. It runs perfect now. Fixed the crazy tachometer also. I'll try to put some miles on it over the next week and let you know if anything changes. 4. Added missing ground wire from Pertronix kit.